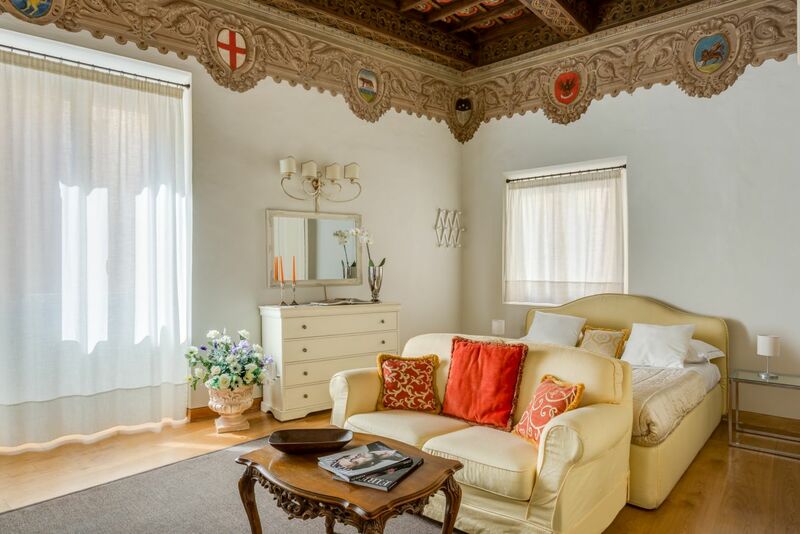 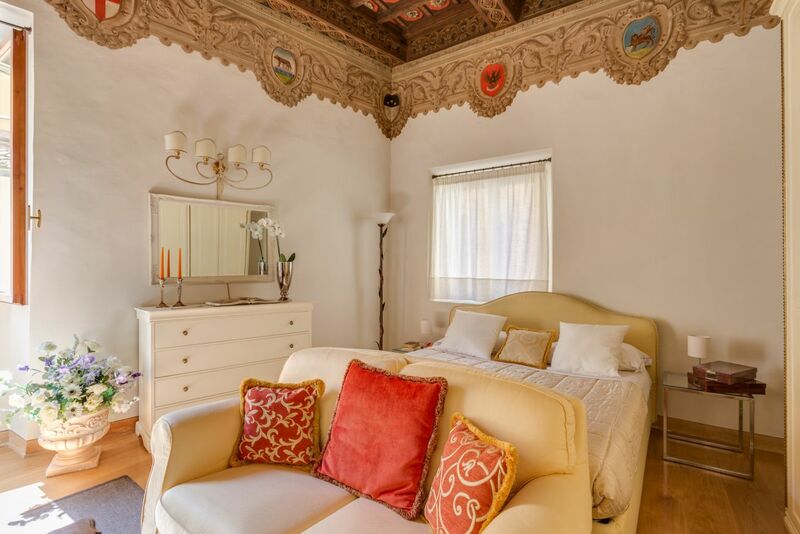 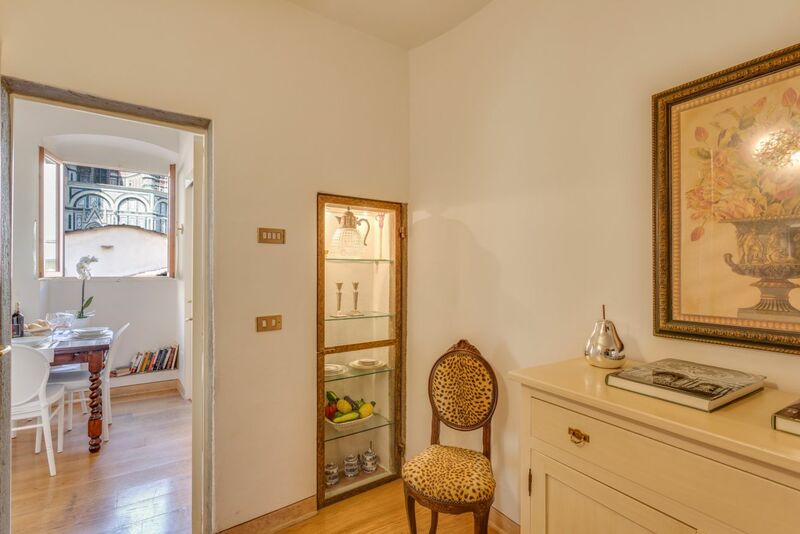 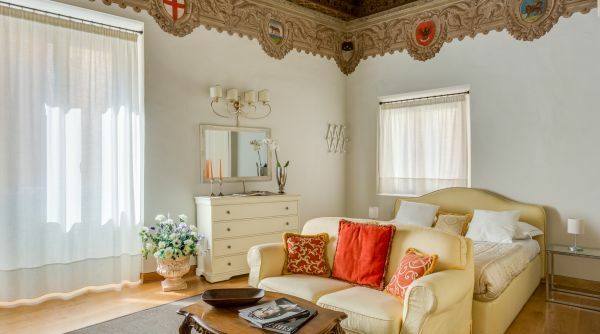 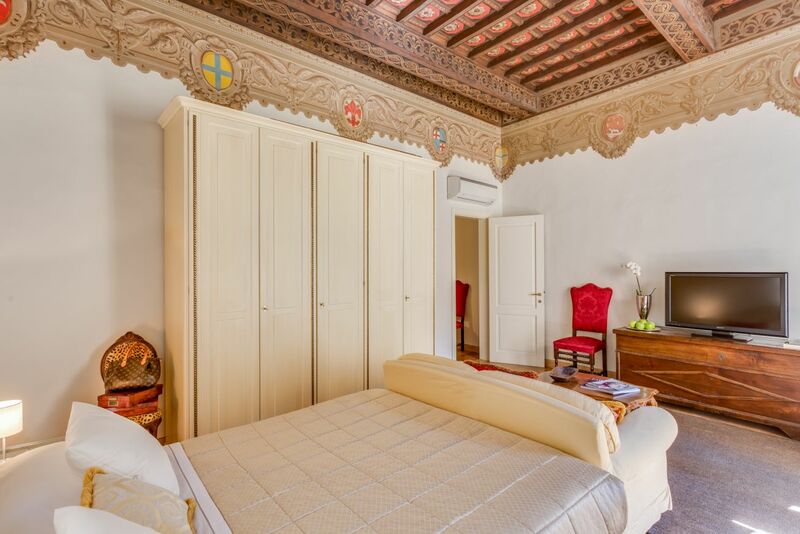 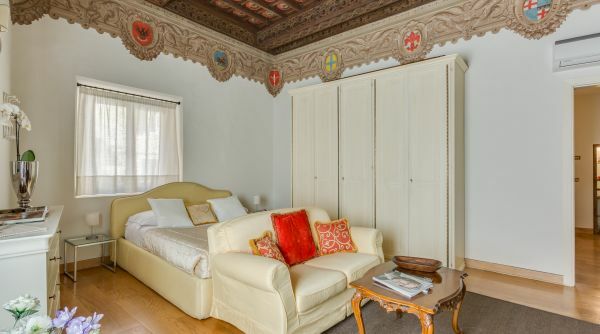 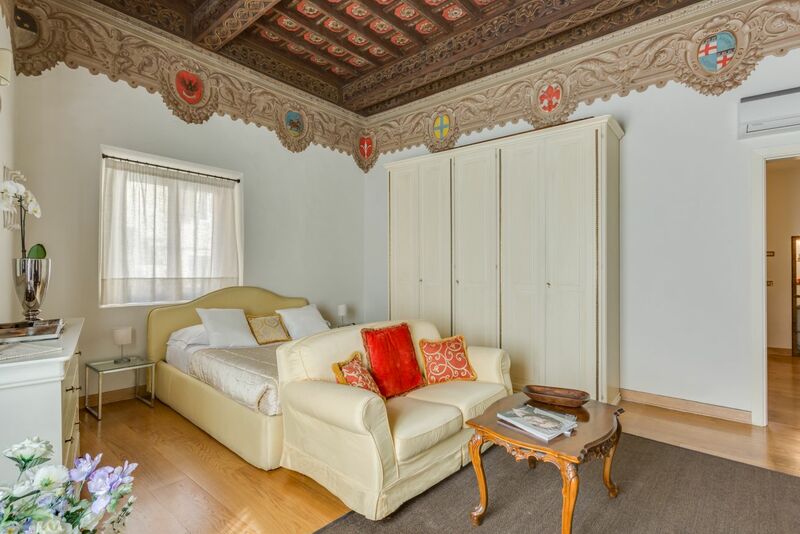 Chic apartment with some very charming historical accents and finishes (bedroom ceiling) in an extremely central location of the city just 1 minute from the Duomo. 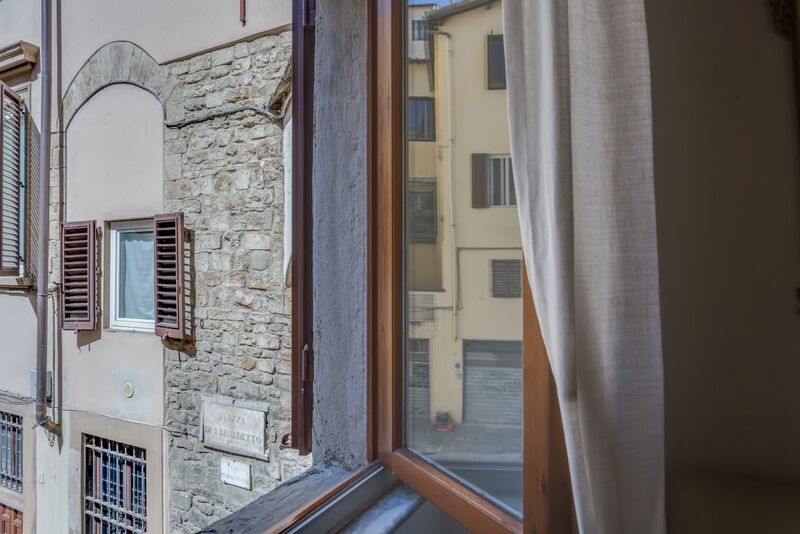 Ideal for a couple or small group who wants to make the most out of all the amenities the historic city center of Florence has to offer. 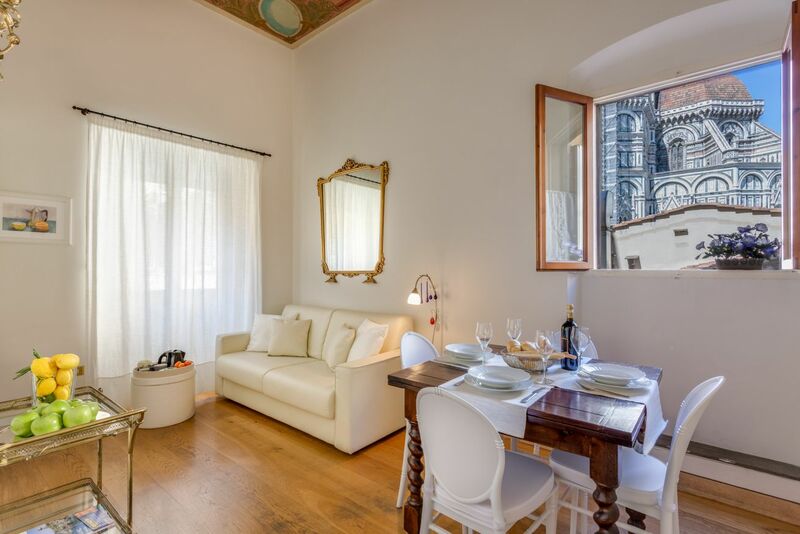 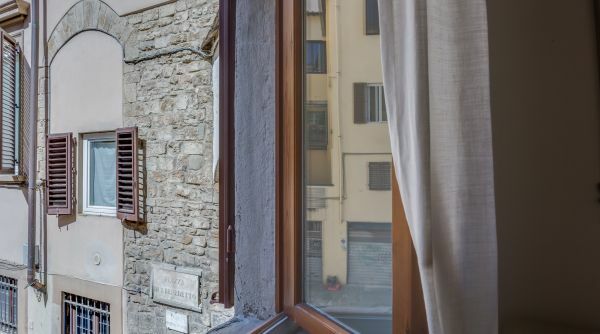 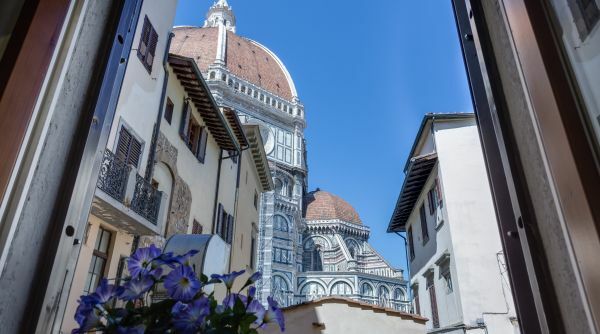 This beautiful and renovated apartment is just one floor up in this historical building in Piazza San Benedetto, between the Duomo and the Bargello. 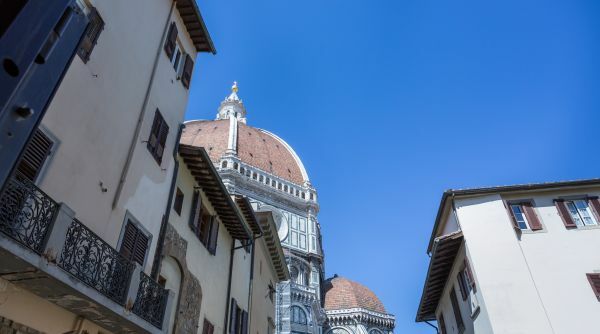 There are many great shops and restaurants in the neighbourhood, as well as a supermarket right down the street whereyou can get fresh Italian ingredients. 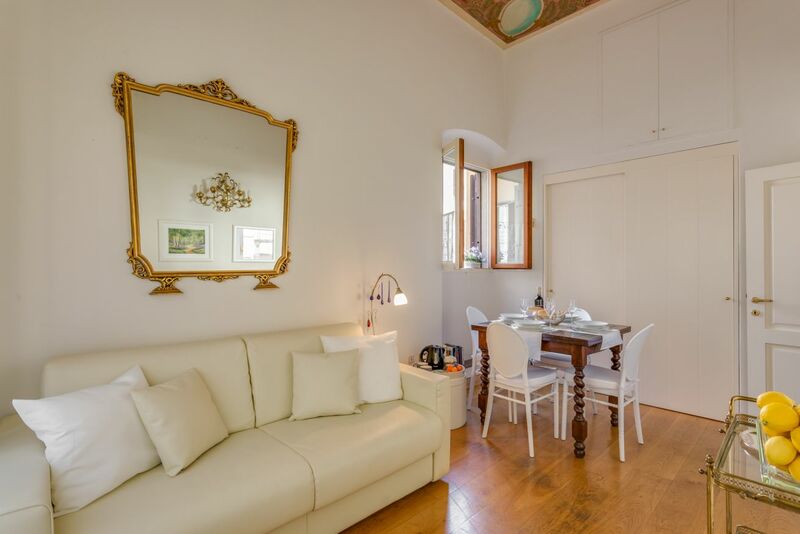 You’ll easily be able to prepare your own meals using the apartment’s charming kitchen, which is equipped with kitchen utensils, a stove, oven, and other appliances. 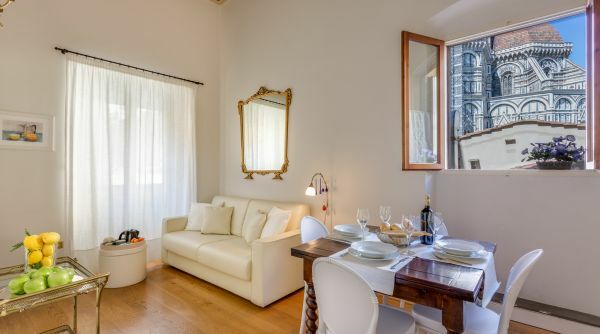 After a long day in the city, you’ll be able to lounge in the apartment’s living area, furnished with a cosy sofa (which turns into a sofa bed), a and a flat screen tv. 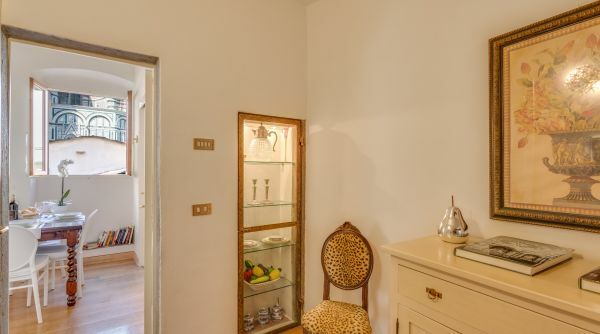 Connected to the living area is the hallway with the bathroom and the entrance. 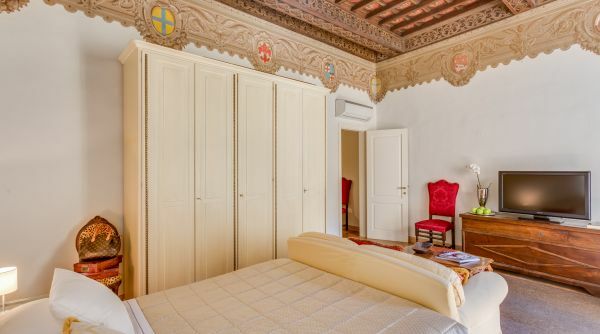 The bedroom is the largest area in the apartment and has plenty of storage space with also an extra single sofa bed making the max capacity 5 people. 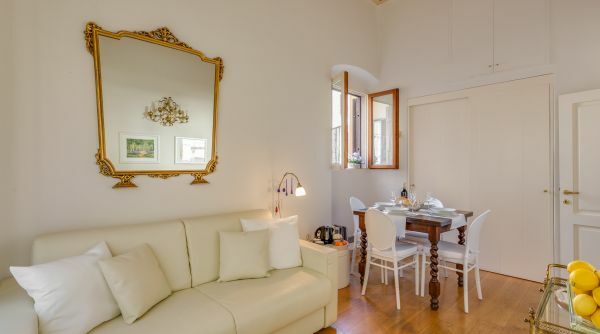 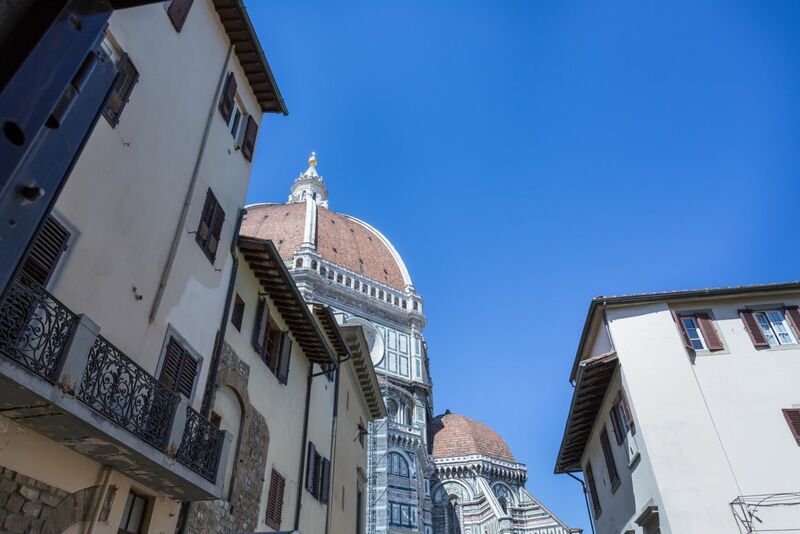 This property is managed directly by Apartments Florence's qualified staff, to guarantee you the highest quality of service and assistance during your stay in Florence. 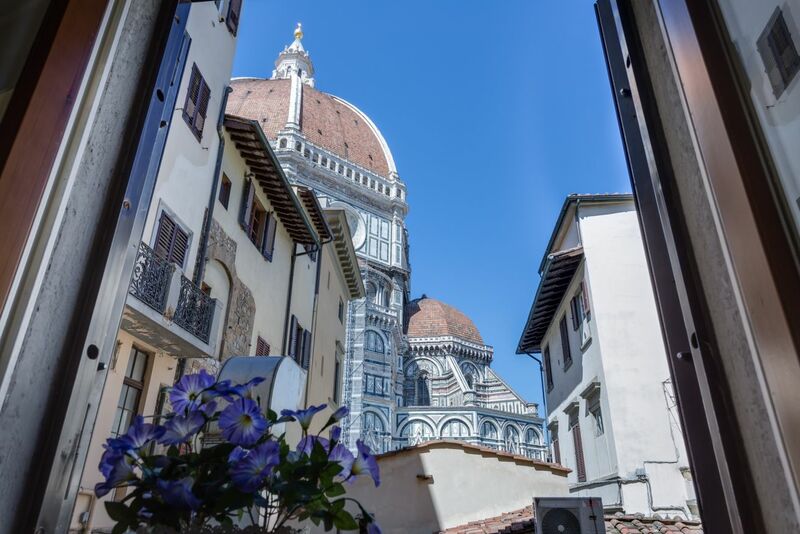 The check in/check out procedure, bed linens, cleaning service, assistance and maintenance are all provided directly by Apartments Florence's staff. 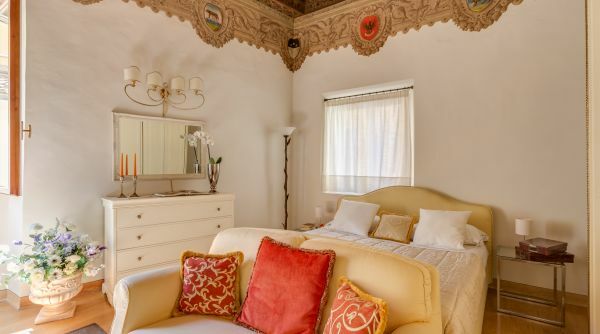 • Double bed + double sofa bed + single pull out bed.